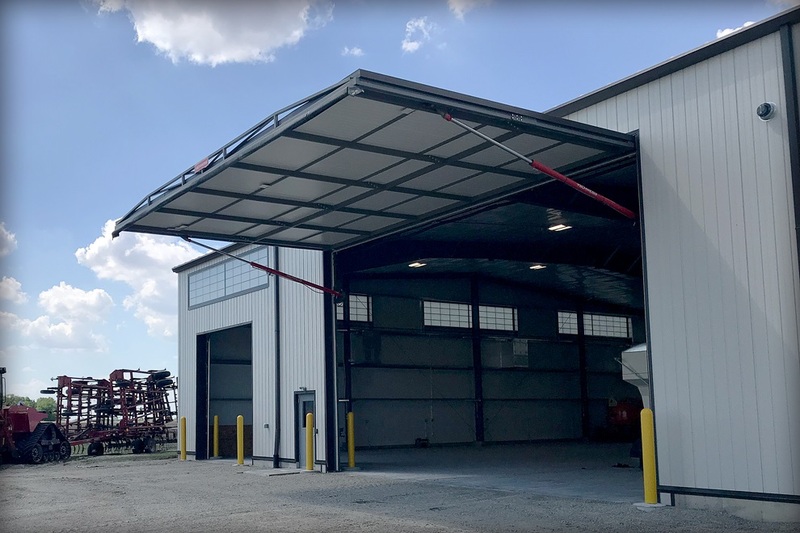 When open, the 32-foot wide Schweiss Doors hydraulic door provides a nice shaded canopy and the 20-foot tall clear opening gives ample height for even the largest farm equipment to move in and out. In the late 1950s, Harvey Asmus introduced a new way to farm. Chemical weed control was not a foreign concept, but it certainly wasn’t adopted by the masses who still believed in cultivating the way it was done for generations. 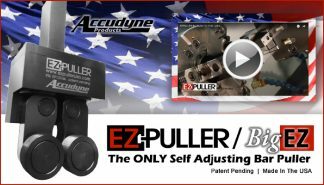 Company founder, Harvey Asmus, introduced a new way to farm in the late 1950s when the majority of farmers were still cultivating their crops. His son, Harlan, is now president of Asmus Farm Supply, with locations in Iowa, Minnesota, South Dakota and Nebraska. Regardless, Asmus believed in the future of farming, stood by the farmers he served and within its first decade of operation, Asmus Farm Supply flourished into the new era of farming. The Rake, Iowa business now has a new 200-foot by 100-foot fleet maintenance steel building to house and service the delivery fleet of trucks, semis and other company vehicles. Built by Lembke Construction of Albert Lea, Minn., it has a Schweiss Doors hydraulic door (32 by 20 feet) on the south sidewall. A hydraulic door was ordered to take full advantage of the clear opening height of the 24-foot tall building. The company had installed Schweiss bifold doors at locations in Estherville and Manly, Iowa, and Fulda and Okabena, Minn. Asmus Farm Supply supports independent sales representatives across Iowa, Minnesota, South Dakota and Nebraska to provide growers with quality products and service outside of the company owned locations. Harvey Asmus grew up on the family farm in north central Rake, where the company facility is located today. After serving in the Korean War, he attended the University of Minnesota, earning a Bachelor’s Degree in Business. He returned to Rake, began selling chemicals in 1960 and then started selling Pioneer Seed in 1964. It was a small operation — he worked at his kitchen table — but soon grew into a successful business based on a lifelong trusting relationship with his customers. The Schweiss hydraulic door provides easy and fast access to the new Asmus Farm Supply 24-foot tall storage shed. That ideal continues to be the cornerstone for the business today. Harvey’s son, Harlan, is now the second-generation manager of the operation. He joined AFS in 1987 after graduating from Iowa State University with a Bachelor of Business Management degree. Harlan held various positions, including as warehouse assistant, seed sales, crop consultant, CCA agronomist, purchasing agent and chemical programs administrator on his way to becoming the company president. He currently manages 35 employees. The Asmus family continues to farm in addition to operating the chemical distribution business. The separate farming business raises corn and soybeans and manages a cow/calf herd. Harlan and his wife, Amy, have two sons and a daughter-in-law employed with AFS. Amy Asmus is very involved and very instrumental in external relations for the company, including speaking at industry events and working in Washington, D.C. on behalf of the agriculture industry. Mike Schweiss – Owner72121 470th St.
Schweiss Doors is the premier manufacturer of hydraulic and bifold liftstrap doors. Doors are custom made to any size for any type of new or existing building for architects and builders determined to do amazing things with their buildings, including the doors. 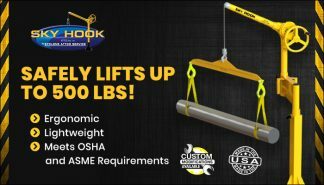 Schweiss also offers a cable to liftstrap conversion package.